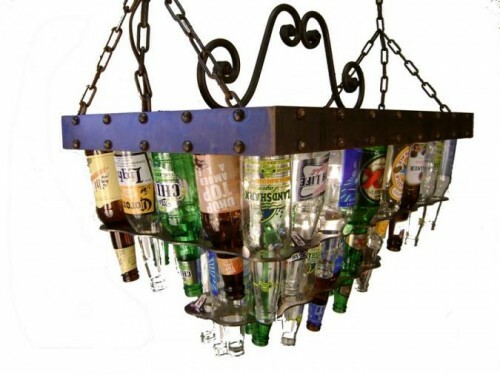 Can you Live Without A Beer Bottle Chandelier? Have you ever wanted to integrate beer into your decor? Barlite has been making beer bottle sconces and chandeliers for over 10 years. Their products range from a simple 7- bottle lamp right up to an elaborate 52-bottle pool table fixture. The model above holds 36 empty beer bottles which are not included so you’ll have to provide your own empties.